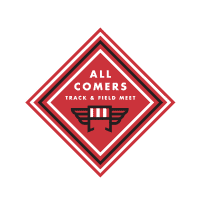 Spring is track season, and Atlanta Track Club heads to the oval one last time in 2018 for the All Comers Track and Field Meet at 5:30 p.m.
Limited parking is available at Marist School. We encourage everyone to carpool and ask you please park legally and with respect to the property of the school and surrounding neighborhood. Blocks, relay batons, and shots are provided courtesy of Marist School; vaulters need to bring their own poles. Track spikes are not required.